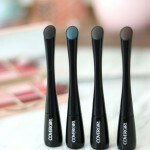 I have major mixed emotions about the Covergirl Melting Pout Matte Liquid Lipsticks-- find out why I loved them initially, and what made me change my mind. 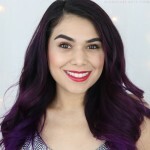 This is my go-to summer makeup tutorial that only takes 10 minutes to complete, and lasts all day! 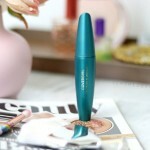 The COVERGIRL Flourish by Lash Blast mascara is what I've been exclusively using the past several weeks. See a before/after of my lashes. 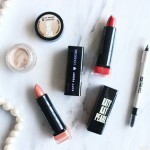 Take a look at the brand new peach-themed drugstore makeup line! 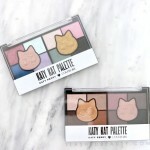 COVERGIRL's Peach Punch collection will be a Walmart-exclusive. What are the must-haves? 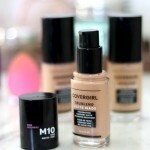 I got my hands on the brand new Covergirl truBlend Matte Made foundation! How long does it last, and what kind of coverage can you get? Watch the wear test! Take a look at the newest liquid liner at the drugstore-- does it deserve the low ratings and reviews online? See swatches. Full coverage, comfortable and budget-friendly foundations can be hard to come by. 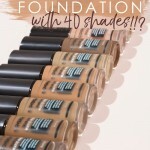 Check out my list of the top 4 full coverage drugstore foundations! 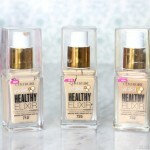 Is the Covergirl Vitalist Healthy Elixir Foundation the newest drugstore holy grail? Find out if this new drugstore foundation would work for you. 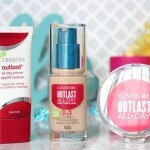 Covergirl Outlast All-Day Stay Fabulous Foundation is the newest full coverage and long lasting foundation from the drugstore. See how it wears!